We love to include something for mum in our gift boxes (after all she has done all the hard work) when a newborn arrives. So after lots of tried & tested methods on friends & new mums we formulated our own beautiful MamaTOO range of natural, soothing & pampering products for mums. 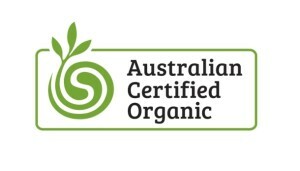 Our Mama Too products are all made here in Australia and we use natural & certified organic ingredients. The beautiful products are blended with soothing oils such as macadamia, mango, jojoba & coconut & full of richly moisturising shea butters, coco butters, almond oils, vitamin e & other nourishing cream bases. Organic Baby Massage Oil - This product is for both mum & baby to use. Made with Certified Organic sunflower oil and blended with Apricot Kernel oil. Not only excellent for baby massages, it is very helpful & soothing on nappy rash. It is potent with all the nourishing good stuff making this our most popular MamaTOO product. One mum hailed it as 'liquid Valium for my son before bedtime'. Pink Himalayan Bath Salts - These natural body detoxing salts come in a fabric bag tied with string. They can also be used in a foot soak so make a sweet gift for mums to be when their feet are feeling the pregnancy! Did you know Pink Himalayan salts have over 50 more nutrients in them than Epsom salts? Soy Wax Candles & Soy Wax Melts - dreamy scented candles & melts are always a lovely gift & something everyone can use. White Clay & Lavender Soap - a gentle soap made with French white clay, lye water, olive oil, coconut oil, Shea butter, coconut cream & lavender essential oil. A gorgeous soap that is gentle on skin. Cotton Eye Mask - a great gift for any new mum or mum to be that is (hoping) to get some shut eye! Made with a soft cotton fabric & comfy cotton strap our eye masks are available in white, pink & blue. We also have embroidered ones that say 'Shh...Mummy Sleeping'! Natural Sisal Back Loofah - Not just mums but everyone should own a Natural Back Loofah in the shower, these are the best! The natural sisal exfoliates as it massages. and intensive moisturising. This is our signature Mama Too product. Renew & Revive Shower Tonic - have a smell of this one! A refreshing shower gel that leaves the skin feeling clean & slightly scented waking up Mama for the day ahead. Relax & Sweet Dreams Room Mist - this gorgeously scented room spray is perfect for bedtime as it is blended with calming essential oils like Lavender & Sandalwood. A few spritz sprays in baby’s room will create a dreamy Zen atmosphere perfect for sleeping through the night! MamaToo is a registered Australian trademark brand.